If you are based in Thames Ditton or Hampton and are asking yourself, “how do I scrap my car?”, then we can help. 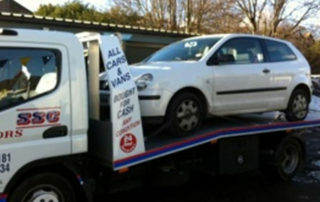 We are specialist car breakers and can scrap your car legally and efficiently – and will collect your car for free! 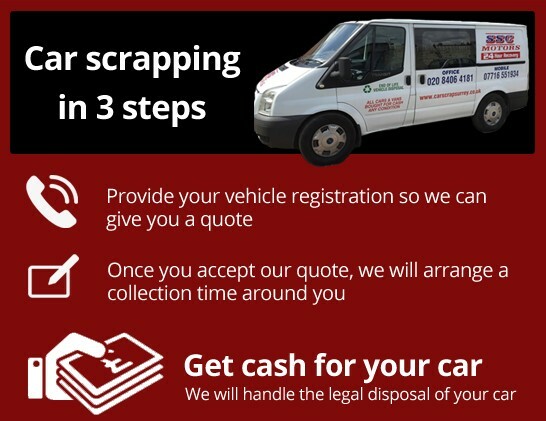 We are available 24 hours a day, seven days a week and 365 days a year, so we can be on hand to help your dispose of your scrap car. We will collect your car from a place that is convenient for you, be it your home, place of work or elsewhere and will hand over up to £150 in cash! 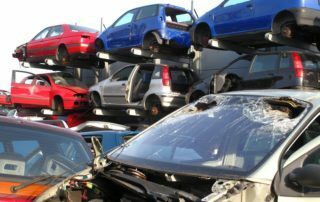 We have had over 30 years’ experience in the car scrapping and scrap metal industry, so when you choose us to scrap your car, you can feel confident that you are getting the best service. As an established Authorised Treatment Facility, you can rest assured that your car will not end up back on the road but will be recycled professionally and you will be given an official DVLA Certificate of Destruction. 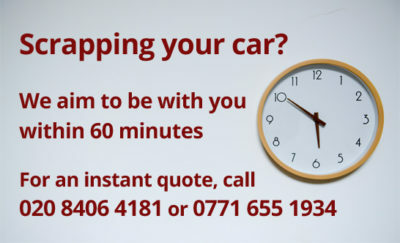 If you would like to find out more about scrapping your car in Thames Ditton, speak to one of our friendly team on 020 8406 4181 or fill out an online contact form and we will endeavour to get straight back to you! 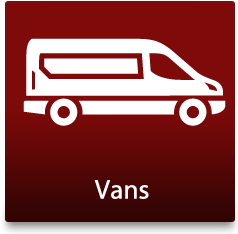 We specialise in the collection, removal and disposal of End of Life vehicles. Our service is totally free and always managed with a totally professional approach. We believe that recycling or scrapping your car should be uncomplicated and carried out with the minimum of fuss and we pride ourselves on our efficient and service. 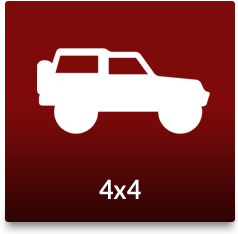 We can be reached on 020 8406 4181 or 07716 551 934 or alternatively you can fill in an online contact form with some basic details about your vehicle and we will get back to you. We will then give you a unique quotation for your vehicle and this will be the price that you are paid – you will not pick up any costs. We will organise a good time and location to collect your scrap vehicle. 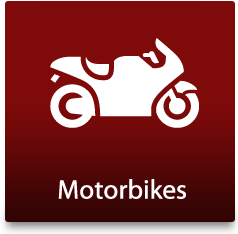 We will fill out all the relevant DVLA paperwork and give you a Certificate of Destruction (CoD), which proves you are no longer the owner. You will give you up to £150 for your car in cash or can organise for you to be paid via a bank transfer. 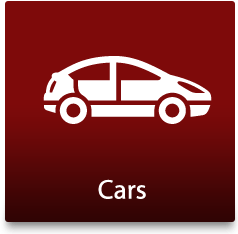 Call our car scrapping specialists in Thames Ditton today! Scrapping your car is easier than ever before and our team can take you through the process to make it as simple as possible. For more information, please call us on 020 8406 4181 or get a price for your car by completing our form. 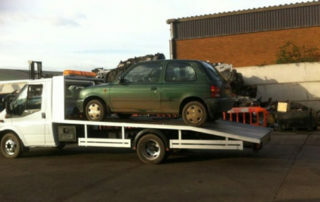 Do you have a salvage cars or scrap car in Thames Ditton? We can take it away and give you cash today! 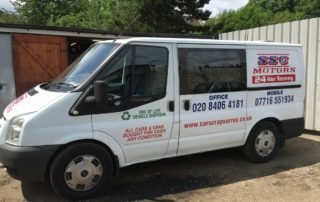 Here at Car Scrap Surrey, we are one of the premier scrap car yards and car recycling centres near Thames Ditton. 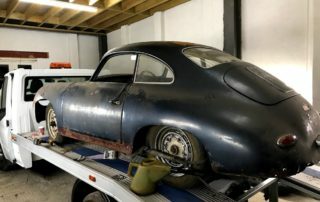 With a wealth of knowledge and expertise, the small and professional team at our Authorised Treatment Facility will ensure you make the most out of your scrap or salvage vehicle. We always stick the most environmentally-friendly criteria when it comes to breaking your car and many of the parts will be recycled, especially if your car is less than 10 years old. If you would like to sell your car for cash, the process is easy! 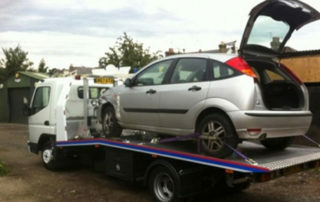 We will come and collect car at a convenient time (and will even rescue your vehicle if you have broken down). This service is free and won’t cost you a penny! We will give you the cash and a relevant paperwork, before bringing it back to our car scrap yard to be depolluted, dismantled and recycled.